Chareau's California Aloe Liqueur was inspired by the bountiful agriculture and natural beauty of California. The Aloe Vera plant is their muse, and they wanted to find delicate compliments to the naturally soft and slightly bitter profile. The cucumber adds a sophisticated vegetal quality, while the muskmelon brings a natural sweetness. 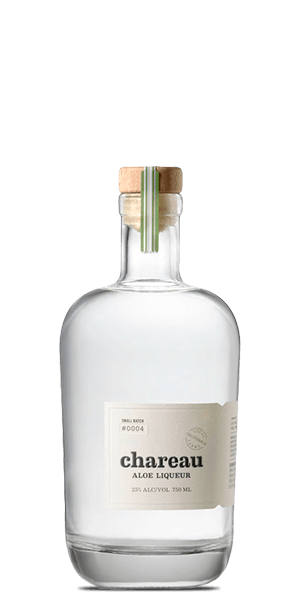 The lemon peel adds balance and the spearmint mellows the bite of the unaged eau de vie distillate. It all culminates in a refreshing spirit that can be enjoyed both straight and mixed in a well-crafted cocktail. Each of the ingredients can be all found naturally in California. In other words, Chareau is a gift from the hands and hearts of California's farmers and artisans. What does Chareau Aloe Vera Liqueur taste like? The Flavor Spiral™ shows the most common flavors that you'll taste in Chareau Aloe Vera Liqueur and gives you a chance to have a taste of it before actually tasting it. Herbal with subtle notes of agave. Cucumber, lemon peel, sweet and mellow. Love Chareau in my Margaritas with lime! It adds a fresh and refreshing flavor that takes a basic drink and turns it into a vacation in your hand!